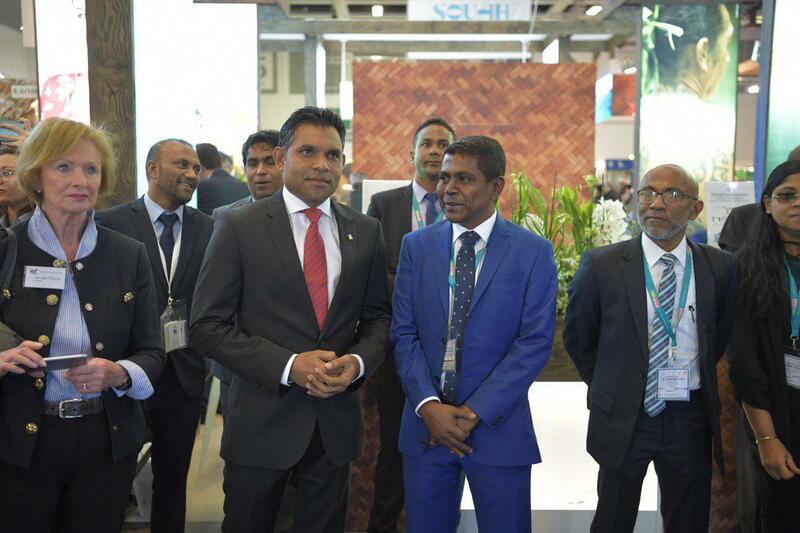 His Excellency Faisal Naseem, Vice President of the Republic of Maldives has inaugurated the Internationale Tourismus-Börse (ITB) Berlin Fair for the Maldivian participants this afternoon, at MESSE Berlin. After the inaugural ceremony, the Vice President visited the Maldivian Exhibits which showcased the unique qualities of the Maldivian tourism industry, as well as the variety of services and experiences on offer. At the side-lines of the fair, His Excellency John A. E. Amaratunga, Minister of Tourism of Sri Lanka paid a courtesy call on the Vice President and both reiterated the two countries' mutual commitment to strengthen historically friendly relations, as well as ongoing and constructive international engagement on global issues of concern. The tourism exhibition Internationale Tourismus-Börse Berlin 2019 is a B2B platform par excellence - an opportunity to meet with industry partners and do business. The Vice President is currently in Berlin as head of the Maldivian delegation, representing the Maldives at ITB Berlin, and is accompanied by His Excellency Ali Waheed, the Minister of Tourism of Maldives and Mr Mohamed Thoyyib, Managing Director of Maldives Marketing and Public Relations Corporation. 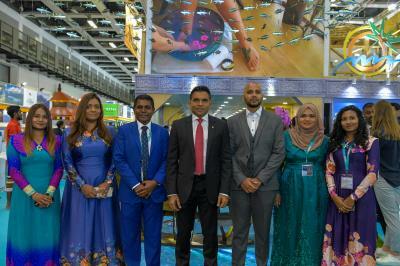 This year’s ITB Berlin Fair has over 270 representatives from 105 companies which caters for all types of tourism activities in the Maldives.